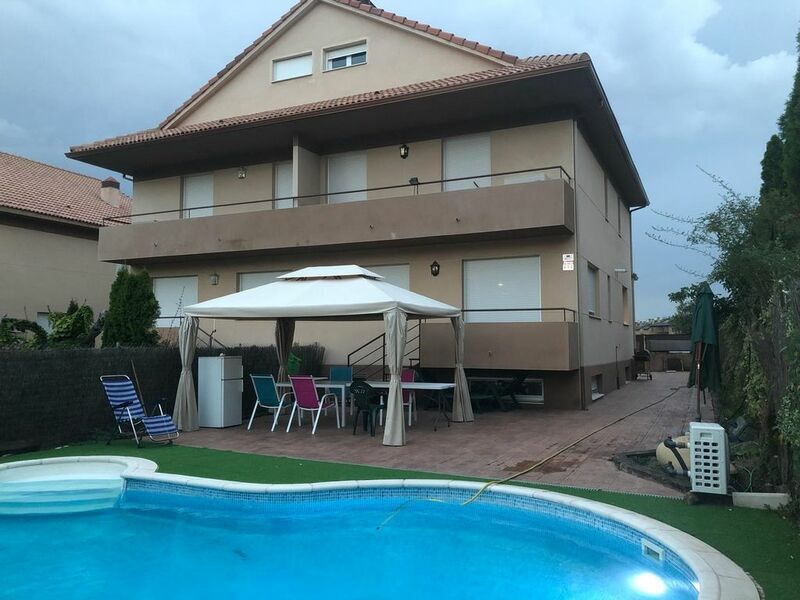 Terraced house of 4 floors, with more than 250m2, large living room with fireplace, games room, seasonal pool with water heater for 24 hours, billiards, table football, full kitchen, near supermarket. Very quiet area and very close to the mountain. Large loft with 4 single beds, wardrobes, windows and velux, Suite room with full bathroom and dressing room, 3 more bedrooms with single beds that can be combined and converted into a marriage and one of them also with bunk.